Arching clubmoss is a characteristic plant of geothermal sites, instantly recognised by its bright green candelabra fronds. It is one of the few plants capable of growing on soils hotter than 50°C. 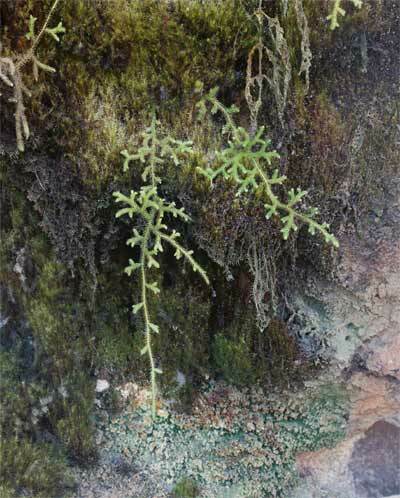 Clubmosses are primitive plants, more closely related to ferns than mosses.